Party in a basket! 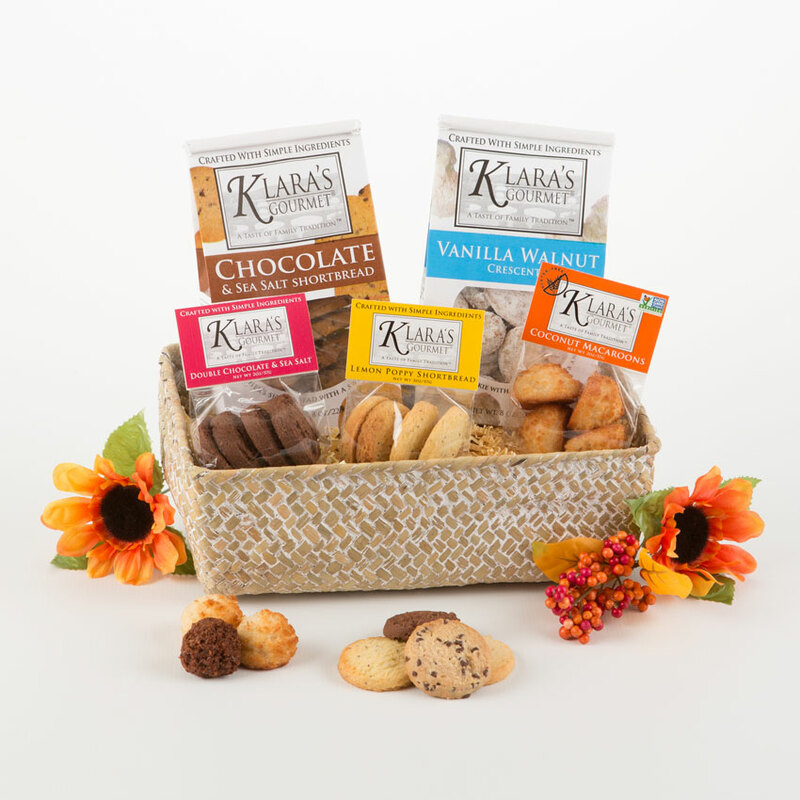 A generous dose of everything Klara, with the flavors and aromas of coconut, chocolate, vanilla, sea salt, lemon, ginger and more. Indulge! 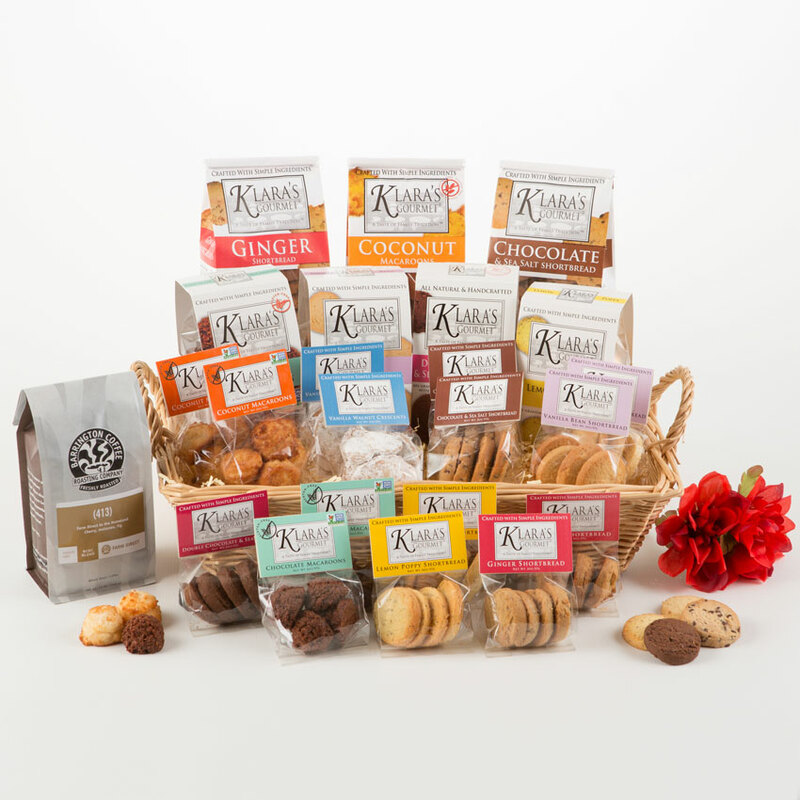 Contains: 1-8 oz bag each of Coconut Macaroons, Chocolate Macaroons, Vanilla Bean Shortbread, Chocolate Sea Salt Shortbread, Lemon Poppy Seed Shortbread, Ginger Shortbread and Double Chocolate Sea Salt Shortbread; and 2-2 oz bag each of: Coconut Macaroons, Chocolate Macaroons, Vanilla Walnut Crescents, Chocolate Sea Salt Shortbread, Vanilla Bean Shortbread, Lemon Poppy Seed Shortbread, Ginger Shortbread and 1 – 2 oz bag of Double Chocolate Sea Salt Shortbread. 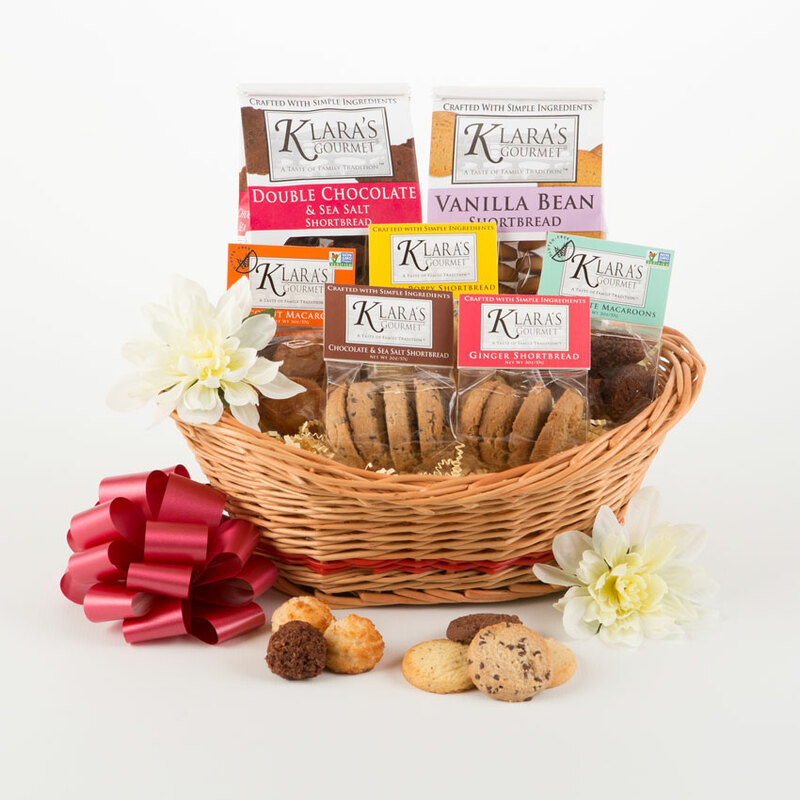 Featured in this basket is Barrington Coffee Roasters – 413 blend. It is AWESOME!